in association with ASBA Worldwide Exhibition of Botanical Art. ’British Artists in the Shirley Sherwood Collection’, The Shirley Sherwood Gallery, Royal Botanic Gardens, Kew, 2017. ‘The Magnified Eye II: Contemporary Botanical Portraiture’, Diane Birdsall Gallery, Old Lyme CT and Susan Frei Nathan Fine Works on Paper, 2014. ‘Botanical Art in the 21st Century’, The Shirley Sherwood Gallery, Royal Botanic Gardens, Kew, 2014. ‘Weird, Wild and Wonderful’, ASBA and the New York Botanical Garden, New York and other US venues, 2014. ‘Botanicals, Environmental Expressions in Art’, The Alisa and Isaac M Sutton Collection, The Shirley Sherwood Gallery, Royal Botanic Gardens, Kew, 2014. ‘Following in the Bartrams’ Footsteps, Contemporary Botanical Artists Explore the Bartrams’ Legacy’, ASBA and Bartram Garden Gallery, Philadelphia and touring to Bradenton, FL, Atlanta, GA and the University of North Carolina, 2013-14. ‘Botanical Art into the Third Millenium’, Museo della Grafica, Pisa, Italy in collaboration with the Shirley Sherwood Gallery, Royal Botanic Gardens, Kew, 2013. ‘Botanical Paintings’, McInroy & Wood, Haddington, East Lothian, 2013. ‘The Magnified Eye: Contemporary Botanical Portraiture’, Reeves-Reed Arboretum, Susan Frei Nathan, Fine Works on Paper, 2013. ‘Plants in Peril’, The Shirley Sherwood Gallery, Royal Botanic Gardens, Kew, 2011. ‘Green Currency’, New York Botanical Garden, USA. 2011. ‘The Art of Plant Evolution’, The Shirley Sherwood Gallery, Royal Botanic Garden Kew, UK. 2009. ‘A Natural Perpsective‘, ASBA/Phoenix Art Museum, Phoenix, Arizona, USA. 2009. ‘Legacy’ ASBA/Desert Botanical Garden, Phoenix, Arizona, USA. 2009. ‘Losing Paradise? – Endangered Plants Here and Around the World’, ASBA. New York Botanical Garden; Missouri Botanical Garden; Chicago Botanical Garden; Smithsonian Institute, Washington DC, USA; Royal Botanic Garden Kew, UK. 2009 – 2011. 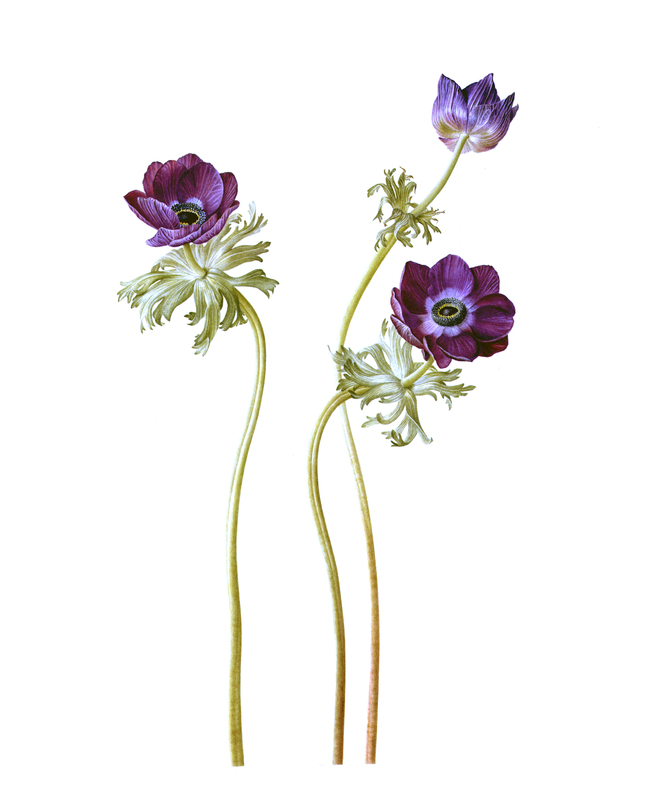 ‘Treasures of Botanical Art’, The Shirley Sherwood Gallery, Royal Botanic Garden Kew, UK. 2008.